Donald Height was based out of New York (not exactly a backwater) and recorded over a 16 year period in all. He was mainly a solo artist (going by 2 different names) but was also lead singer in a legendary doo wop group (Hollywood Flames) for a while. He was signed to a number of major labels; King, ABC-Paramount, Jubilee, Old Town, RCA, Roulette, Shout, Avco, Bell and Dakar. Some of his 45's did so well in the US, that they got picked up for foreign release (in countries such as the UK, Canada & South Africa). 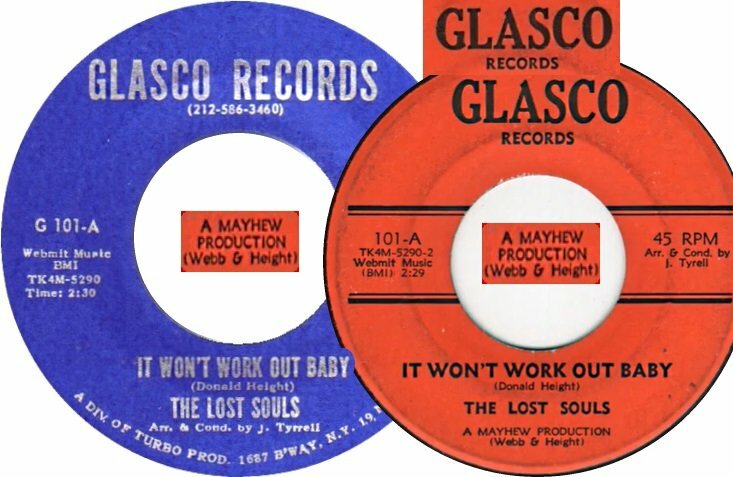 Two of his UK releases became 60's mod / soul club anthems and then repeated this success on the NS scene when re-released in the 70's. 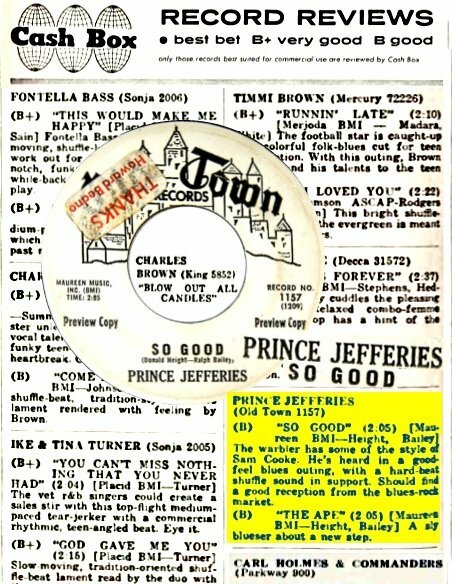 He also cut a version of another top 60's UK mod club song ("She Blew A Good Thing"). Donald worked in collaboration with some top industry people, Teddy Vann, Ralph Bailey (who had songs cut by Chuck Jackson, Lee Roye, Vernon Garrett & Ted Taylor), Horace Ott, Johnny Northern, Bert Berns, Garry Sherman, Thomas Glascoe, Eddie Jones (Linda Jones brother), Robert Bateman, Alonzo Tucker, J J Jackson & Joe Webb. As well as being a singer & songwriter, he was also a producer & ran a couple of production companies and small record labels (Mayhew, Soulful Music Records, etc). 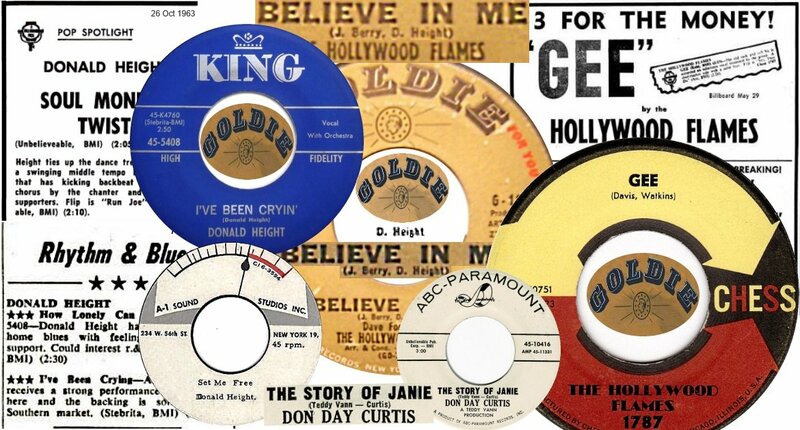 He worked with numerous other acts; the Bobbettes (aka Soul Angels), Casualiars, La Vern, the Lost Souls, etc. It seems he became a minister in the 70's and gradually withdrew from the recording industry, but even with the length of time he was a major player & the many successes he enjoyed …. there seems to be little info available today on him & his career (no interviews or the like that I can find). Anyone out there know much more about him ?? Many of his songs are still registered with BMI but I don't know if that means someone out there still represents him or his interests. Seems that Donald also acted as a manager with the likes of Doris Willingham (Doris Duke) being one of his acts in the mid 60's. She had moved to New York around 1963 and had started out as a backing singer who got to work on many studio sessions. She must have met up with Donald in that capacity (or she had backed him up on a live show @ the Apollo) but he realised she had much more potential and would make a good lead singer. 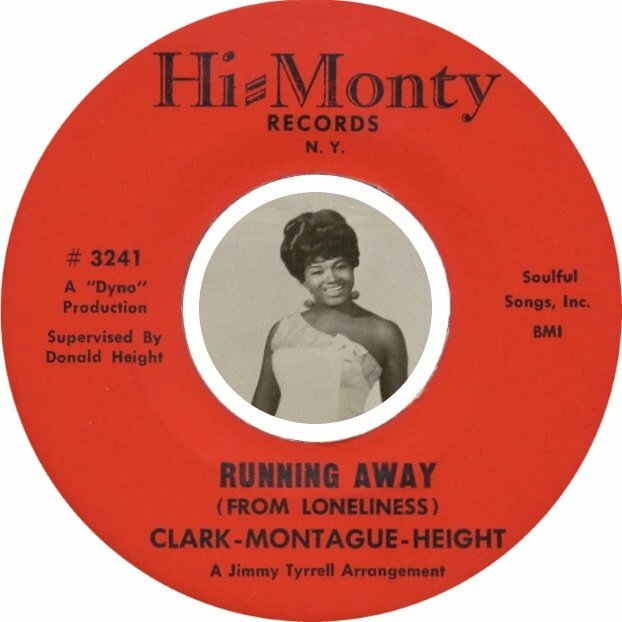 He cut some tracks on her & two of these were released as a 45 on Hi-Monty Records ….
. . . . . side info on Doris >> when her Jay Boy 45 was released here & in Germany (late 68), she was offered gigs over this side of the pond. She decided it was too early to take the chance but came over here anyway, touring as a backing singer for Nina Simone. Donald Height passed on July 2nd 1999 at the age of 59 years . He'd been living in Kinston, North Carolina There was a full article on him in issue # 34 of David Cole's marvelous magazine 'In The Basement'. Cole interviewed his sister in 2004. It seems his final years whilst spent near his family were quite difficult. He left New York in 1975 and returned in North Carolina where he worked as a plasterer for some years. He had children who stayed in New York. In the late 90s he laid down a few unissued tracks in Nashville. One thing that you have omitted to mention was that he also recorded as Don Day Curtis on ABC-Paramount. This is Height leading on a 45 on Goldie by Dave Ford & The Hollywood Flames. 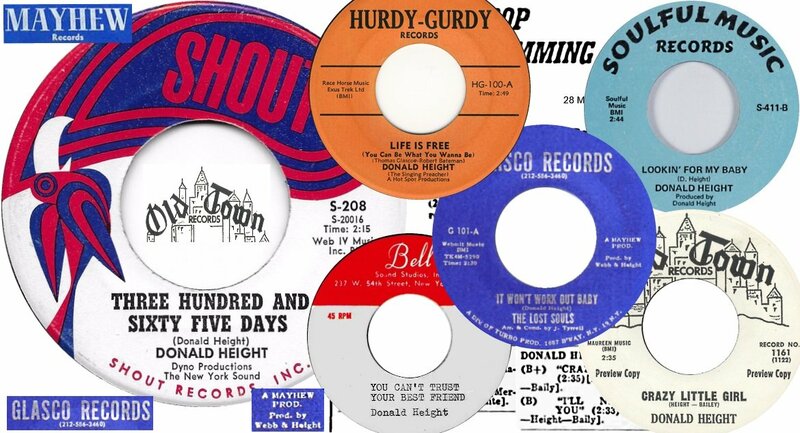 Thanks for that Firecrest ... but if you look at the montage I put up with the 1st post, I included a scan of one of his Don Day Curtis ABC-Paramount 45's there. 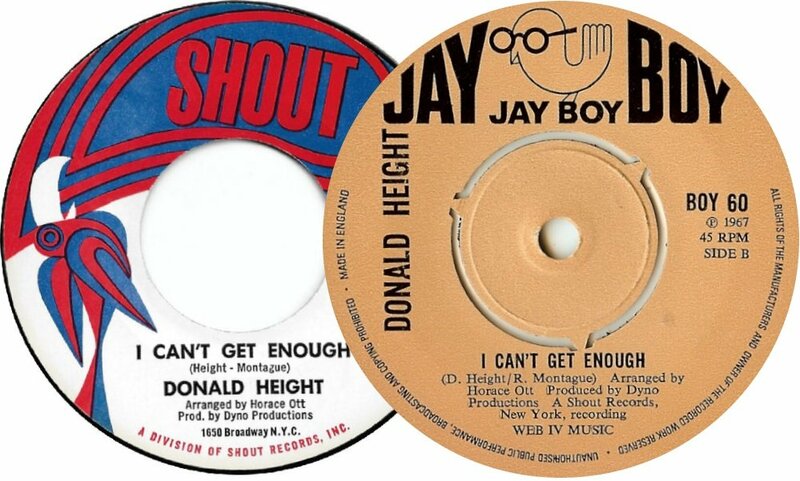 Another question -- is it correct that the mix of "I Can't Get Enough" is different on the US Shout 45 to that on the UK Jay Boy 45 ?? So which version of the Lost Soul's is considered to be the best (I have a redun mesen) ?